This year’s title for the fourth annual community read is The Way Things Work Now, by David Macaulay, which explains complex processes in a humorous and accessible style. KENNETT SQUARE – Longwood Gardens and a host of community partners launched its fourth annual “Community Read,” which is designed to encourage the region to join together in reading the same book to spur discussion around an idea or topic. This year’s title, The Way Things Work Now, by David Macaulay, explains complex processes in a humorous and accessible style, accompanied by engaging illustrations. 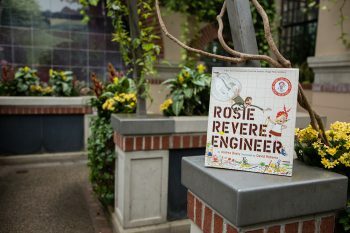 To inspire young makers, the Community Read also includes Rosie Revere, Engineer. In the book, author Andrea Beaty tells the story of Rosie, a little girl with dreams of becoming an engineer. Area libraries and community organizations are joining in this year’s Community Read by hosting programs and events now through April. 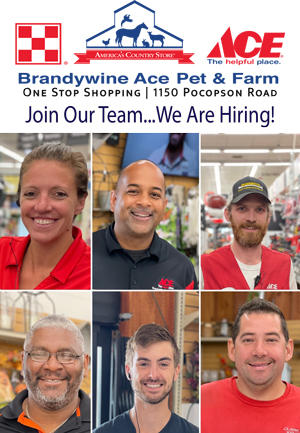 Partners include The Franklin Institute, Delaware Art Museum, Delaware Museum of Natural History, The Land Conservancy for Southern Chester County, Montgomery County Libraries, New Castle County libraries, Chester County libraries, Cumberland County libraries, Delaware County libraries and many more. A complete list of community partners and programs can be found at http://longwoodgardens.org/community-read. “We are thrilled to launch our fourth annual Community Read,” said Longwood Gardens President & CEO Paul B. Redman. 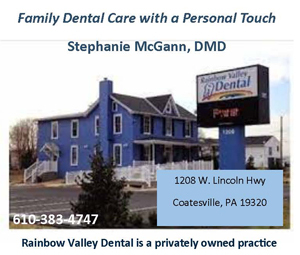 “We are excited that so many partners in our community have embraced this program designed to encourage reading around a specific topic. This year, as we look forward to the return of our Main Fountain Garden, we selected titles that remind us of our founder’s passion for engineering, technology and design, which are integral to the Main Fountain Garden,” explained Redman. To inspire young makers, the Community Read also includes Rosie Revere, Engineer by Andrea Beaty. The Franklin Institute has partnered with Longwood Gardens to host The Way Things Work inspired events. On April 21, famed Franklin Institute Chief Astronomer Derrick Pitts will take guests on a journey through the evolution of space exploration during The Way Astronomy Works. Pitts will provide an exciting lecture that examines the science behind seeing the stars. Following his lecture, staff from The Franklin Institute and local amateur astronomers will provide telescopes and instruction to view the night sky above Longwood Gardens’ Meadow Garden. As part of the night’s activities, Community Read featured author, David Macaulay, will be on hand to sign his book, The Way Things Work Now. 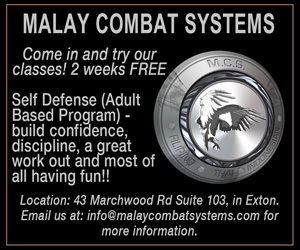 Advanced registration and a $49 fee are required. Visit longwoodgardens.org/enroll to register. 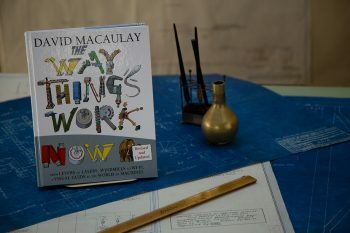 On April 22, Longwood will host a community conversation with David Macaulay, where Macaulay will speak about his career as an author and illustrator, and the inspiration behind his role of “Master Explainer.” Join fellow readers to celebrate and discuss the book The Way Things Work Now. Longwood historian Colvin Randall, who will discuss Pierre du Pont’s passion for good engineering, will join Macaulay. This community conversation with David Macaulay is free with the gardens admission and will take place from 7-9 p.m. To register for this event, go to longwoodgardens.org/enroll. Readers can join the conversation on social media throughout the Community Read by following Longwood Gardens on Twitter and using the hashtag #CommunityRead.